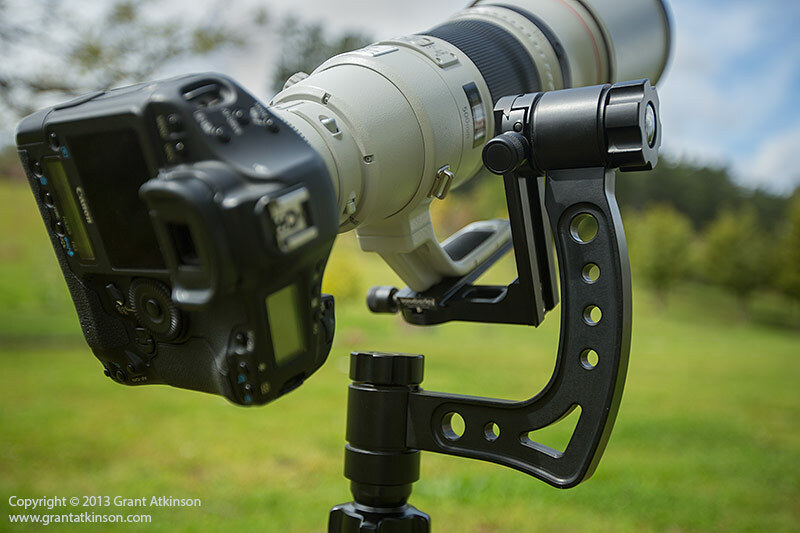 When it comes to mounting a camera and lens on a tripod, today’s photographers can choose from a range of different tripod head systems. 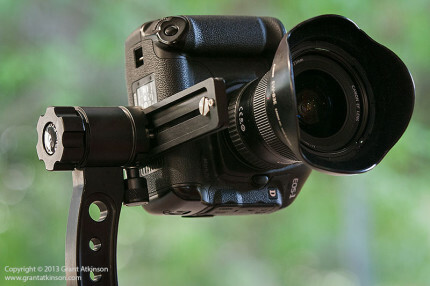 Tripod heads come in a variety of configurations, from the swivel-and-tilt head, the ball head or the gimbal tripod head, just like the Gimpro reviewed here. The Gimpro gimbal head, with Canon EF 500f4 and Canon 1D mounted. Gimbal heads offer several advantages over the other types of tripod head for me. Perhaps the single biggest advantage is that with a gimbal, the camera and lens is supported on an L-shaped bracket that hangs below the main pivot. If the lens is carefully positioned in the gimbal, its weight can be balanced, and so controlling the movement of the camera and lens whilst shooting becomes virtually effortless. 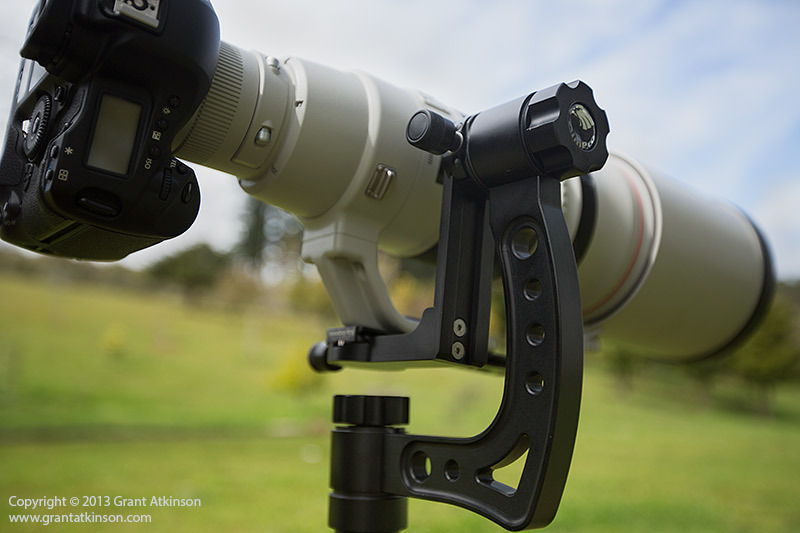 This benefit alone makes gimbal heads the first choice for a growing number of wildlife and sports photographers. The gimbal head makes tracking moving subjects with the camera mounted on a tripod quite straightforward. This is in direct contrast to shooting with a big lens on a swivel-and-tilt head or ball head. With both of these setups the camera and lens mass is positioned above the swivel point. This means that one needs to be very, very careful when loosening the locking levers or knobs, as it is very easy to accidentally cause the whole rig to tip over. Swivel-and-tilt heads and ball heads are typically cheaper to manufacture than gimbal heads, but a lot more difficult to use with big lens and camera combinations. Stainless steel screws are used though, and even the locking knobs are made of aluminium. Both locking knobs have knurled finishes for extra grip, and are spring-loaded. A major plus on the Gimpro is that all the locking knobs are captive. In other words, even if they are loosened all the way out, the threaded parts don’t unscrew entirely and they remain permanently attached. In real-world usage, which typically means bumps, knocks and vibration, the Gimpro will not have you searching around on the floor of the vehicle for a missing screw or worse, springs and plates. What this means is that the Gimpro is very strong, and reasonably light for what it does. Roller-bearing pivot on the Gimpro with control knob. The Gimpro is built with six sealed roller-bearings, for totally smooth panning and tilting. Advantages of sealed bearings is that they are unlikely to wear out with normal use, and they don’t require extra lubrication. Most importantly, they enable the Gimpro to move very smoothly, and hold very heavy weights without the action tightening up. During testing I loaded up the Gimpro with a variety of camera rigs. Mostly I used it with a Canon EF 500f4L IS ii and a Canon 1Dmk4, with the gimbal handling this outfit perfectly. I also torture tested it with a 1DX and Canon EF 400f2.8 L IS (the older, very heavy version of this lens) and even with this very heavy combination loaded up, the Gimpro maneuvered very smoothly, with little effort required from me. The Gimpro is designed to handle the largest of regular super telephoto lenses, including heavies like the 400 f2.8, 600f4 and 800f5.6 lenses from Canon and Nikon and it does so with no flex or strain at all. The Gimpro itself is 240mm high, 80mm across and spands 220mm across, making access to the controls comfortable with plenty of room for my hands to work in. Using the Gimpro was simple and easy. I mounted it on my trusty and sturdy Slik 580 aluminium tripod, and got to work. Once I had the lens positioned for balance, panning and tilting were easily accomplished with almost no effort from me at all. It is possible to let the lens ‘hang’ quite comfortably in the gimbal any time my eye was not at the viewfinder. That said, it is not advisable to leave any camera and lens set-up unattended on any tripod, and I always make sure that while I have a lens mounted, to keep a gentle hand on the camera or even just the tripod leg. Whilst the Gimpro is as secure and safe a mount as you can get, using it or any mount cannot guarantee that the entire tripod can’t be accidentally knocked over. High-quality construction of the Gimpro is evident in this close-up of the main pivot. I also used the Gimpro with shorter lenses. With the Canon EF 70-200L f2.8 IS ii and 5Dmk3 mounted, the Gimpro made product shooting quick and painless. Something that I became aware of when shooting with the Gimpro on concrete or tiles was a slight vibration being transmitted through the rig. However, I learned to simply wait a few seconds for the vibration to stop, or to place my hand on the base of the Gimpro which stopped it right away. 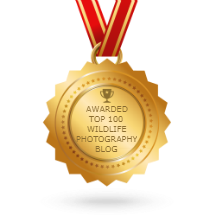 The vibration was only noticeable when my tripod was on concrete and it was not relevant for wildlife shooting. In operation it soon becomes clear just how smoothly and progressively the main pivot controls work. Aside from their roller-bearing silkiness, the large control knobs are comfortable on the hand. Setting the tension precisely where you want is simple, even when the gimbal is loaded up with a heavy lens. This too is due in part to the roller-bearing design, and the precision-engineered design. All the controls work silently, which can be important when photographing shy subjects like wild animals. The Gimpro in use, with Chris Frylink demonstrating. The Gimpro comes with a 150mm (6-inch) long lens plate, also crafted from the same high-grade aluminium, that is long enough to attach to the tripod foot of the biggest lenses. Additional lens plates are available as optional accessories, and there are different sizes. Gimpro uses the popular (virtually industry-standard) Arca-Swiss sized mounts, which means it is directly compatible with a host of other manufacturers mounting plates. Front view of the Gimpro with the Canon EF 500L f4 IS ii and Canon 1D. All of my own lenses are already fitted with Really Right Stuff lens plates, and they fitted the Gimpro perfectly. The Gimpro is not just for big lenses either. To use a camera with a wide-angle lens on it, just attach a lens plate to the bottom of the dslr body, and slide the plate into the vertical mount on the upper pivot. It is also possible to unscrew the bottom part of the L-bracket and flip it over, and mount a dslr body on the top of that which is a more time-consuming but elegant solution. 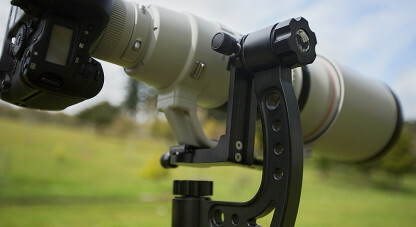 Although the Gimpro does not have any kind of bubble-level built into it, many modern dslr bodies have electronic levels that can be used to level the set-up. The Gimpro is supplied with a padded nylon bag ideal for transporting it. The bag can also be used to cover the gimbal when it is mounted on a tripod. The Gimpro weighs just 1.25kg. 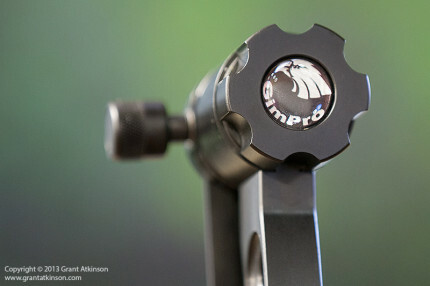 The Gimpro is a precision-engineered piece of equipment, designed and crafted in South Africa. It ships with a lifetime warranty, and is as good, if not better than any other gimbal head I have used. Perhaps the best-known gimbal manufacturer is Wimberley, and they too offer an excellent product, typically priced around the highest end of the market. 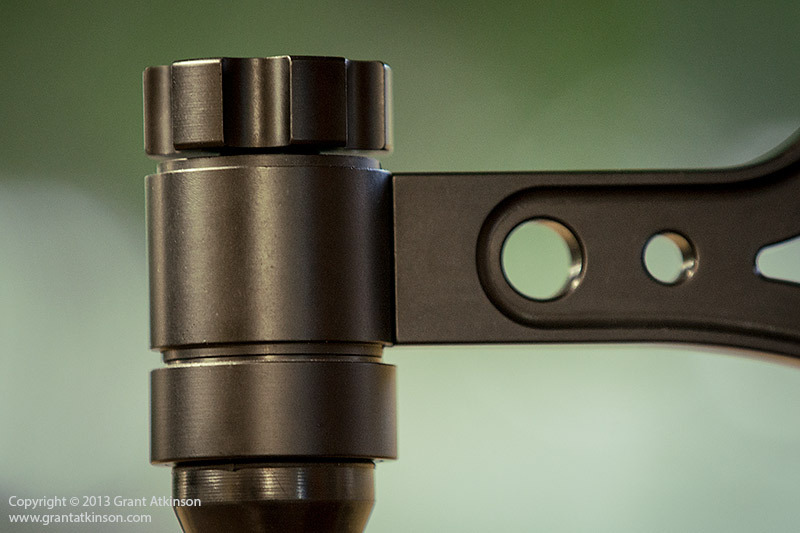 Benro also make good gimbal heads, and their product usually sells for a lot less than the Wimberley. The Gimpro is priced in-between these two gimbals from competing manufacterers, yet it’s function, construction and feel place it very close to the class-leading Wimberley in my opinion. A close-up view of the Gimpro gimbal head. 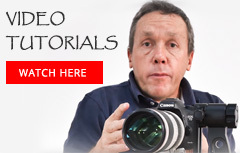 Operating even the biggest, heaviest camera and lens combinations is made easy with the Gimpro. 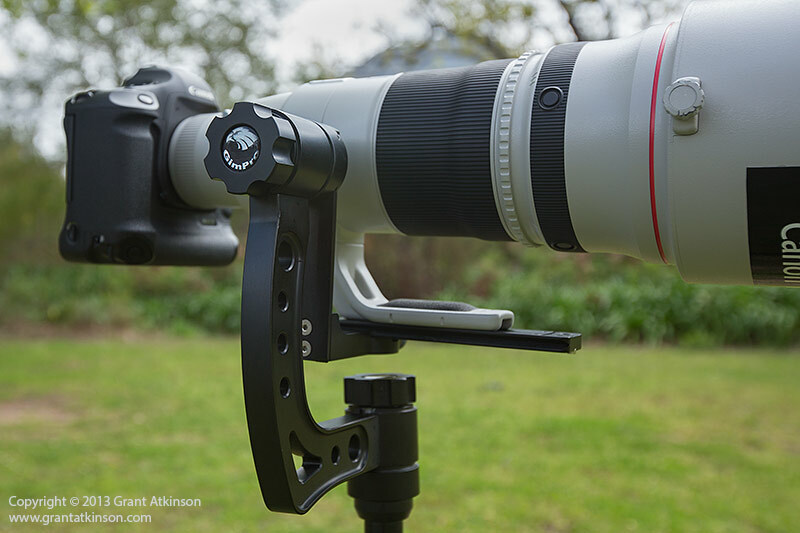 It provides a stable and safe work platform for photographers, and it looks the part too, with its elegant design. its Chris. Very interesting, to read your contribution to gimbals. Two years ago I looked for all the gimbals in the market, with the intention, to buy one of them. Till today I bought no one, because nearly all of them at that time available had weights clearly above 1 kgs. The weight of the Wimberley version II is 1,4 kgs, Manfrotto Long Lens Monopod Bracket type 393 1,6 kgs, eki-alu-gimbal (eki-gmbh.com) 1,9 kgs, Nill-head classic (dietmar-nill.de) 1,0 Kgs, gimbal-head GH 3 from Benro 1,76 kgs and the Gimpro, you discuss here, 1,25 kgs. With respect to weight the Nill-head is the best. But together with my Manfrotto carbon tripod the weight would be round about 2,2 kgs, to heavy to carry (and bulky too) with cameras, lenses etc., you can not miss on a safari. All of them are constructed with high strength aluminium alloy 7075 and have heavy ball bearings. Therefore I perfer to handheld my cameras, which is more flexible than gimbals too, and only for scenic photos I use a tripod (1,2 kgs) and either a Benro ball head B2 (360 g) or a Gitzo video head (650 g). Please understand my remarks as an addition for photographers, who have to travel long distances. Hope, you feel well and your business is expanding. Merry Chrismas and a successful and happy new year for you and your wife Helena. I’ll be mounting mine on an Eckla Eagle door mount. It should provide a very steady platform as well as being versatile. Thanks for that feedback, I am sure you will get great results from the Gimpro. 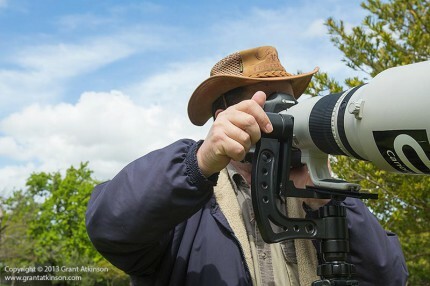 I have been enjoying using mine very recently whilst photographing some interesting birds recently. I am glad I asked you first instead of just going ahead and just buying the other one. Did you run any tests on the Gimpro Pano head, it looks a bit off-center to me if not used on the door mount, but is not as high as the normal gimbal version that can be very useful in some cases? I have only briefly used the Gimpro Pano head, and never had it for enough time to get a proper idea. I have passed on your question to Ralph Pollack who makes the Gimpro, and i will post his answer here when he gets back to me? Are there USA sources for purchase and or seeing in person?? Hi Grant, Well written review. Wonder if you can advise further on using this. I have acquired a Canon 100-400mm 4.5-5.6 IS II USM zoom and wonder what your thoughts are on using this with a Gimpro. I have been advised by one seller that in his opinion it would be a bit of overkill and the alternative would be a KIrk B3 ballhead. My only concern is the possibility of the lens tipping with the ball head. With all your experience what are your thoughts? Regards, Dave. I recently used one on the Pangolin photo boat on the Chobe River and fell in love with it. I was looking to replace my heavy old original Wimberly head so I ordered one from Anotne at LensRent in South Africa and it arrived in the US in 6 days. Love this gimbal head and the ability to make it a side kick is a BIG plus.